In TURNER CLASSIC MOVIES: MUST-SEE SCI-FI, fifty unforgettable films are profiled, including beloved favorites like The Day the Earth Stood Still (1951) and Fantastic Voyage (1966), groundbreaking shockers like Planet of the Apes (1968) and Alien(1979), and lesser-known landmarks like Things to Come (1936) and Solaris (1972). Illustrated by astounding color and black-and-white images, the book presents the best of this mind-bending genre, detailing through insightful commentary and behind-the-scenes stories why each film remains essential viewing. A perfect gift for any film buff or sci-fi fanatic! 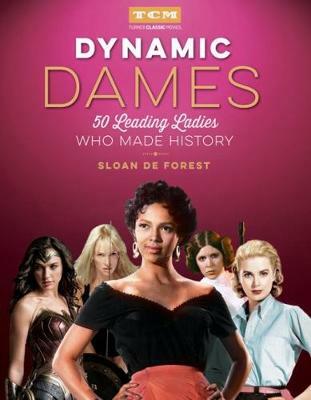 Buy Turner Classic Movies: Must-See Sci-fi by Sloan De Forest from Australia's Online Independent Bookstore, Boomerang Books.